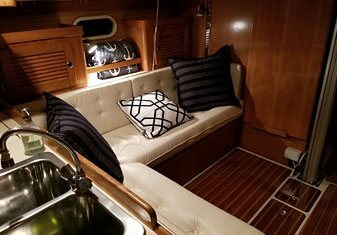 We offer private sailing charters for up to six people. Join us for a beautiful morning sail to start off the perfect vacation day. -or- be a part of an exciting (generally breezy) afternoon sail and dolphin / wildlife watch. 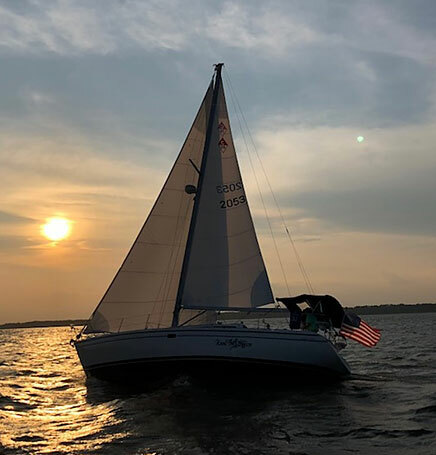 -or- come celebrate the end of a great day by relaxing and taking in the breath-taking views of Hilton Head’s best sunsets. 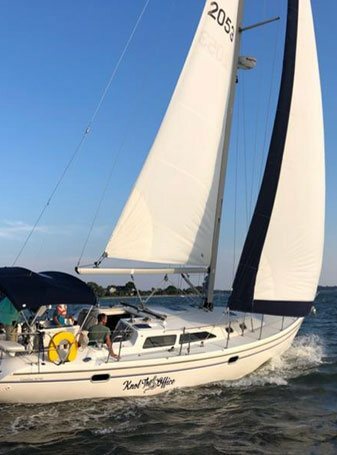 Either way, Anchors away sailing charter’s mission is to be a unique part of your visit to Hilton Head Island, giving you a fresh perspective of this beautiful area and possibly introduce you to the wonderful world of sailing. 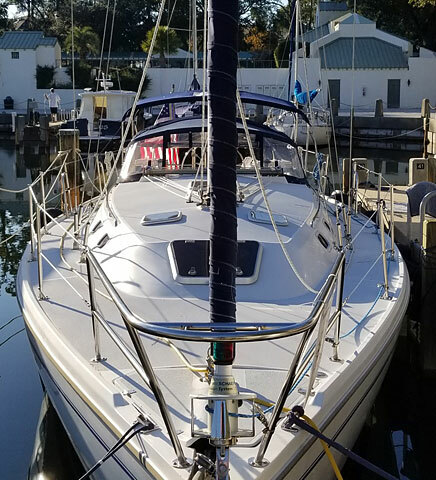 USCG licensed Captain, Bimini top for shade and comfort, restroom available on board, catering available, Sailing Lessons. All of our charters are very private. Your party may include up to six people. Some charter companies pack as many people on the boat as possible. We don’t. You are welcome to bring food / snacks and beverages with you to enjoy while under way. Please no glass containers and no red wine. Complimentary bottled water will be available at all times. Knot the Office is a beautiful American built Catalina sailing yacht. 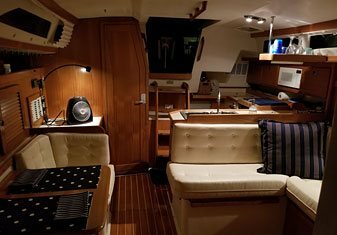 This is a very comfortable boat both in the cockpit or cabin. Knot the Office has undergone safety inspections by the US Coast Guard and all safety requirements have been met or exceeded.